Growing up in Abidjan (Ivory Coast), she was introduced by her parents and her singing aunt Bebe Manga to ‘les Oiseaux du Monde’, a local children’s choir and dance group led by Jean-Claude Gigot that achieved national fame through TV shows and tours throughout Africa. 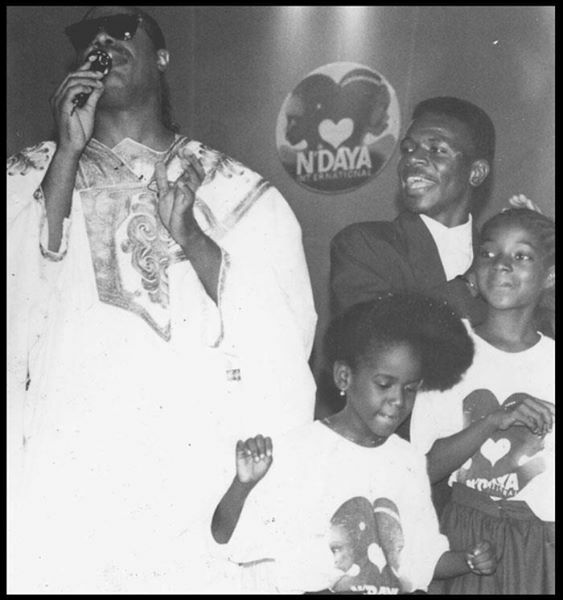 They opened for Stevie Wonder and Kool & the Gang in 1988 at a N’Daya International, a benefit gala in Abidjan (Ivory Coast). This laid her musical foundation. She moved to Germany as a young adult to study Communication Design and grabbed this chance to build a career as a soloist. She started off working with dynamic bands of the Rhein Main area in Germany (US2U, The Wright Thing, Shebeen). – ‘Givin it up’, a single released on the Best of Mercedes Benz Mixed Tapes in 2007. – ‘Movin as One’, the official single for the Skoda Superb automobile in 2008. – ‘Three Piece Suite’, a Rock & Soul EP also released in 2008. 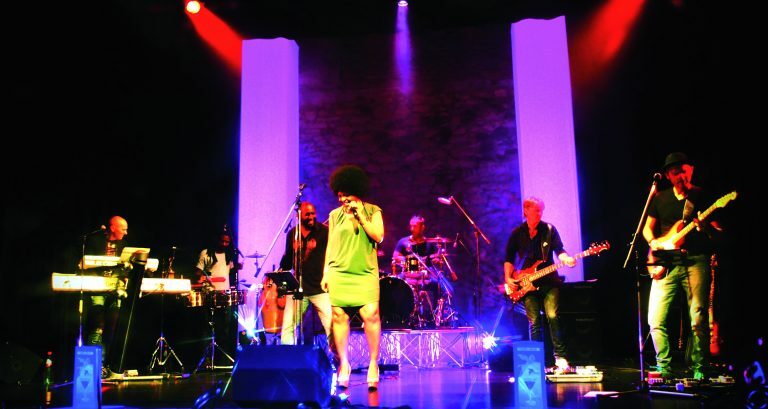 – ‘Satellite Brown Chick’, an album released in 2010 and January 2017. – ‘Ekong Eyeseh (Our Love)’, an Afro-Soul single released in September 2017. She currently freelances with the John Paul Band, the SkyLine Club Band and Pamela O’Neal & the Queens of Soul. With Guitar player Ingo Mützel, she also hosts and manages Soulfoodsuperjam, a residency show every 2nd Monday of the month, featuring the best singers and musicians around Germany. Menoosha also freelances as a Communication Designer and Marketing professional. She is very passionate about Women’s Empowerment and heavily supports the ‘Phenomenal Women Empowerment Stage‘, a Women4Knowledge initiative to encourage African Fempreneurship.